Returning Customer? Reload your account online. NIST 800-88 compliant verification can be used with any disk wiping tool. Run WipeDrive on individual computers from a CD, USB drive, or .exe file. Run WipeDrive on hundreds of computers simultaneously from a PXE network. Run WipeDrive remotely on any computer with administrative access. 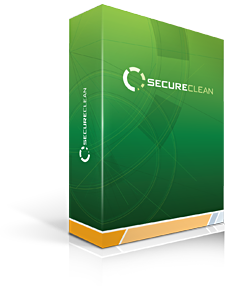 Why pay more for data destruction services, like hard drive shredding, when you can securely erase your confidential data with our software? WipeDrive secure erasure software will eradicate your confidential information without destroying your drive. There is a significant difference between software claiming to comply with standards and the National Security Agency (NSA) actually certifying compliance. We don’t believe our customers should have to verify that our software does what we claim, so we are Certified by NIAP to EAL 2+, higher than any other software wiping tool. 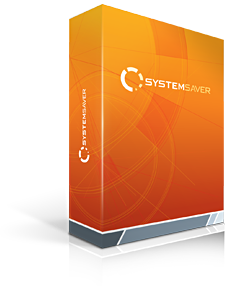 Our software was designed with our most risk-adverse customers' input to create a disk wiping tool that is highly effiecient and provides the greatest security available. Simply deleting files or even formatting your drive doesn't mean the data is gone. It can still be recovered using freely-available software tools. Only by overwriting the data can you ensure it's permanently and securely erased. WipeDrive has been certified by the NSA as wiping software that makes data forensically unrecoverable. WipeDrive is the only wiping software in the world that meets NIAP's EAL 2+ security standard and is approved by the U.S. Department of Defense. According to the NSA, data deleted with WipeDrive is "permanently destroyed as to make any type of forensic data recovery impossible." Data Security - No data is recoverable. - No data is recoverable. Secure Chain of Custody - No chain of custody necessary. Wipes can be done remotely without moving the computer. - Chain of custody required and typically includes external employees, increasing risk of data compromise. Low Environmental Impact - Wiped drives can be easily and securely re-used within the organization or donated to charitable causes. - Produces landfill bi-products that are not easily absorbed or re-incorporated into the environment. Low Cost - Typically less than half the cost of physical destruction. - Roughly $8-10 per drive. Logistical Efficiency - Drives can be wiped remotely without moving computers or removing hard drives. - Drives must be removed and securely transported to the destruction site. Secure Audit Trail - Reports impossible to manipulate. Audit trail automatically logs comprehensive drive identifiers and information. - Reports vulnerable to human error and manipulation. WipeDrive is the only wiping software in the world certified to NIAP's EAL 2+ criteria. Certified by the Common Criteria Standard, WipeDrive meets most major national and international certifications and standards. Simply put, it's the best wiping technology available today. Need to wipe solid state drives? Since 2011, WipeDrive has been a market leader in comprehensively wiping SSD drives by removing security freeze locks to ensure there are no hidden or locked areas of the drive that are missed. Erasing SSDs is a priority for many companies because they retain their value better than traditional platter hard drives allowing them to re-coupe part of their cost or re-use the drives internally. WipeDrive can wipe any SSD drive that is free from manufacturer defects. Did you know many modern copiers store digital copies of the documents they process on internal storage? Hard drives in digital copiers pose a serious security risk. WipeDrive Enterprise solves this problem by erasing the data stored on digital copiers. 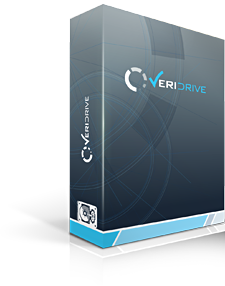 WipeDrive is typically a fraction of the cost of physically destroying hard drives and other storage hardware. We'll even match or beat the price of competitive software offerings. Wipe computers in remote or branch locations before you move them. Wipe any computer for which you have admin access. WipeDrive is approved and used exclusively by the Department of Defense and the U.S. Air Force to erase hard drive data, and is a trusted provider for many Fortune 100 companies such as GM and Humana. Now the exact same wiping technology is available to the public. Configure or re-configure RAID setups on supported RAID controllers allowing technicians to avoid doing a manual configuration and saving time. With WipeDrive you don't have to buy different products for wiping various hardware types. One block of licenses gives you the flexibility to wipe desktops, laptops, servers, RAID configurations, and other storage media. The WipeDrive Dongle allows you to manage your licenses to best suit your needs. Transfer licenses to the dongle for wiping in an environment without internet connectivity or leave your licenses in the cloud if you're always connected. As an enterprise-class solution, WipeDrive can be customized to accommodate your specific business needs. Erase hard drive data how and when you want. WipeDrive Enterprise can be deployed on over 100 devices on your network simultaneously saving you time and money. Flexible licensing options are available to meet your individual needs. Please contact our enterprise sales team for more information and to get a custom quote. Enterprise customers receive upgrades free of charge as they become available. There's no need to worry about your user licenses becoming outdated. Most enterprise clients are happy with WipeDrive Enterprise right "out of the box." However, we know that some clients have special situations and needs and we welcome the opportunity to customize our software and provide one-on-one consulting accordingly. We provide enterprise customers with free customer support. We'll work with you to resolve any problems. What's new with WipeDrive Version 9? Completely redesigned interface shows more context and process data that scales from low resolution up to UHD. Broad updates for legacy and current RAID controllers means Auto-RAID dismantling works on more servers than ever. See the expected life on supported SSD drives to make more intelligent decisions on when to reuse or recycle drives. WipeDrive 9 can now wirelessly initiate, activate, audit and report adding support the latest hardware without optical or USB drives. WipeDrive 9 adds the latest support for using both “Enhanced Sanitize Device” command the OPAL command set to get more of your hardware achieving “Purge” level security than any other software tool. WipeDrive 9 will now tie in to your Makor and Cyclelution ERP system for seamless secure asset processing. Immediately reset all encryption keys at the beginning of every erasure - protecting against interruptions and providing additional protection to all wipe patterns. Achieve NIST 800.88 r1 “Purge” in less time and on a higher percentage of drives than ever before. WipeDrive Enterprise is licensed per client. We offer bulk and other discounts according to the needs of the client. Please contact a sales representative by using our contact form. All versions of Microsoft® Windows®. WipeDrive uses a DOD 5220-m wipe pattern to wipe hard drives. This pattern overwrites data on the hard drive three times using different bit patterns and is used by many government and Fortune 500 organizations. WipeDrive is fully configurable to use any wipe pattern you need. Use one of the pre-configured wipe patterns or customize one of your own. The DOD 5220.22-m wipe pattern is required by many organizations because it's believed to provide extra assurance that your data is gone. This standard was created by the National Industrial Security Program to provide guidelines for handling the disposal of classified information. WipeDrive is the most highly-certified wiping software on the market. It's the only product that has earned the EAL 2+ certification. This comprehensive certification includes laboratory testing and a source code audit to ensure it performs as advertised and meets the highest security standards.